This past weekend, we were invited to go to the Brunch Crawls as part of the Dine Out Vancouver festivities. Put on by Richard the Vancouver Foodster. 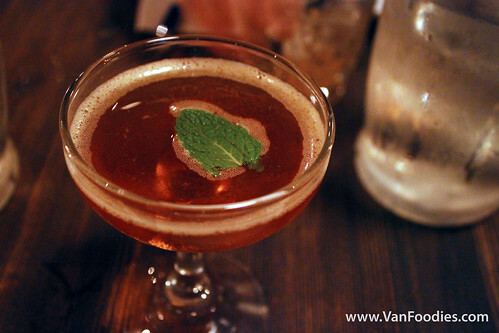 The first of the brunch crawl series was in Gastown. 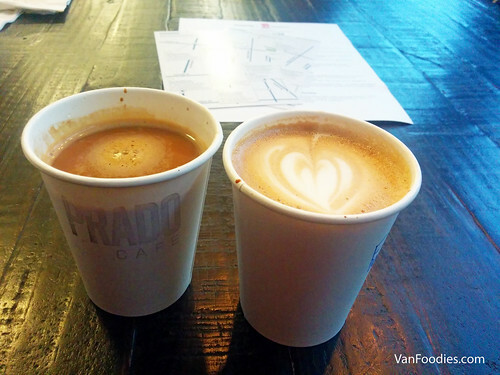 The crawl started with a cup of hand-crafted coffee at Prado Cafe. There were a few choices and we ordered an Americano and Flat White. Almost right next door was Zero Zero Pizzeria. The portion was quite generous here. 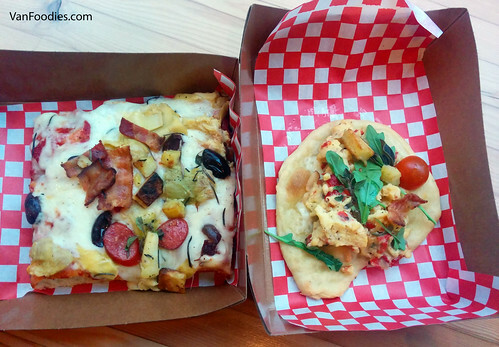 We had two options, including the pizzetta flatbread, but also a new topping combination that wasn’t even available on the regular menu yet! A couple of streets over we got to the new Capilano Tea House. They will officially open their door on February 1, so we basically got a sneak preview. This year, participating restaurants of Taste of Yaletown (TOY) were encouraged to put on their own special events to help make this year’s TOY more interesting and diverse. 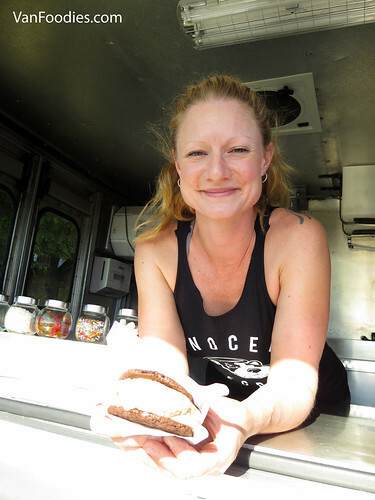 The Parlour organized a free public menu tasting last week that featured an array of their existing menu options, as well as some new menu items, and items that are in development, to collect feedback. This was open to the public, and was free to attend. We started with a couple of new cocktails that will be on the menu soon, High Tea (first photo below) and Rye Grin. With breakfast tea infused gin, High Tea had a subtle tea flavour; it was a bit sweet yet refreshing, and it can almost be a summer cocktail. 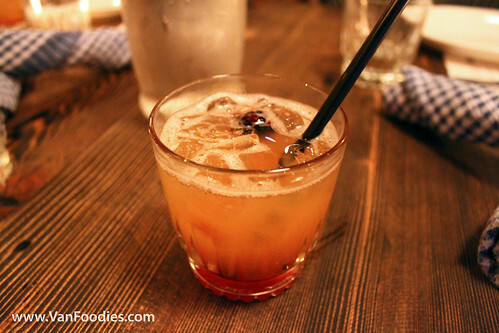 Rye Grin, on the other hand, reminded you of fall. It was strong and warmed you right up. The ladies around the table all seemed to prefer the High Tea.